Multi-award winning couple Andy and Angela Smith are Australia’s leading authority on the transformation of trade businesses. This entrepreneurially minded couple built their plumbing business from the ground up. From small beginnings, Dr DRiP Pty Ltd has become a multi-million dollar company. The business was awarded #1 Trade Business in Australia by the National Small Business Champions Awards. 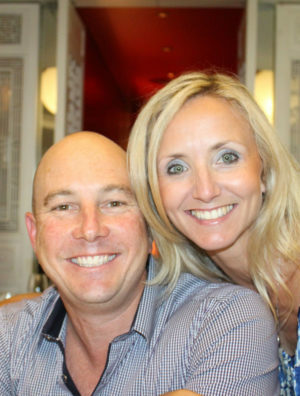 Having witnessed first hand how good business practice can transform lives, Andy and Angela founded the Lifestyle Tradie Group in 2009, which was recently awarded #1 Educational Services Business in Australia. As passionate change leaders, this motivated couple have now helped thousands of trade business owners to earn more money, gain more time and get their life back with the help of practical business education. Thanks to Lifestyle Tradie, business owners have discovered a smarter way to operate for more streamlined workflow and a dramatic increase in profit. The company’s training creates a ripple effect, bringing incredible improvements to the daily lives of tradies and their families. Lifestyle Tradie works with trade business owners from electricians and landscapers to pest controllers and garage door specialists. Working together, Andy and Angela share their knowledge to help create businesses that owners can scale, sell or run without being heavily involved. Throughout their careers, Angela and Andy have balanced working together with raising two children and managing their many sporting commitments. They have plenty of advice to share about how any couple can work successfully with each other.